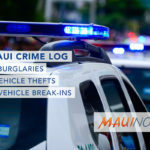 Maui police responded to 10 burglaries, 11 vehicle thefts and 16 vehicle break-ins in Maui County over a seven day period from April 8-14, 2018. 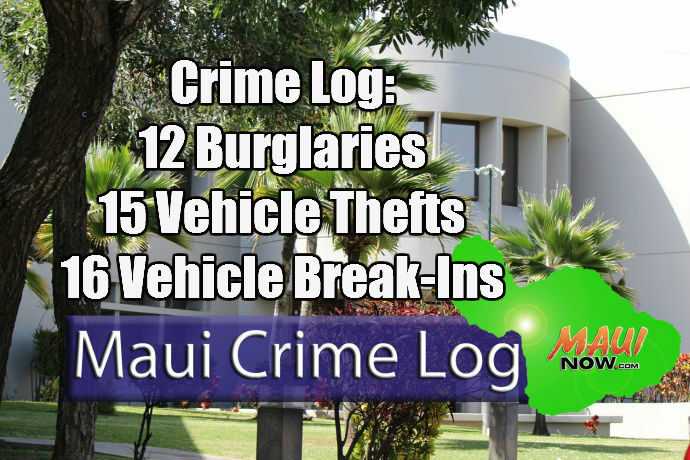 Burglaries decreased 29% from the week before when 14 incidents were reported over the seven day period. 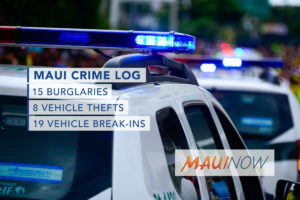 Vehicle thefts increased 37.5% from the week before when eight incidents were reported; and vehicle break-ins increased 100% from the week before when eight incidents were reported. Nikki joined the Maui Now team in 2016 as a writer/reporter. Originally from Chicago, she has had internships with CBS2 Chicago and Comcast SportsNet Chicago where she had the opportunity to interview some of Chicago's best athletes. She graduated from Columbia College Chicago in 2010 with a Bachelor's degree in Broadcast Journalism. 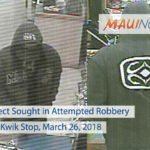 She moved to Maui in 2013.